If you are a paying Software Assurance (SA) customer, you can get up to 18 months free! Are you an SI customer? How about an SA customer? Great! We want to award you for being someone on our SA program. 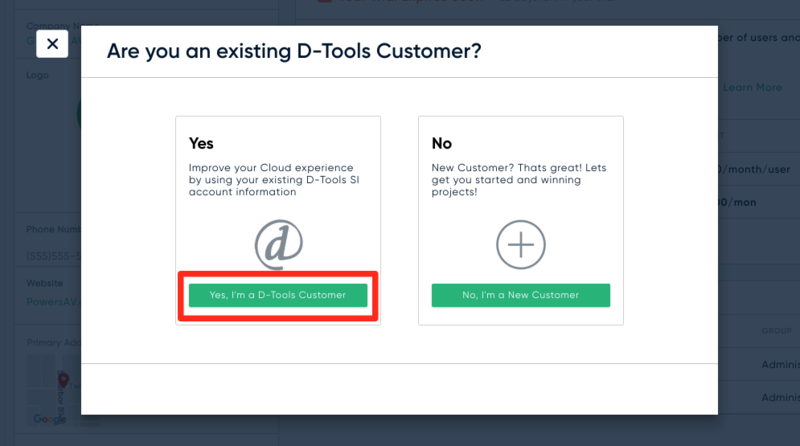 This will give you the opportunity to start playing with D-Tools Cloud and move from SI to DTCloud as you features become available and as you are ready. 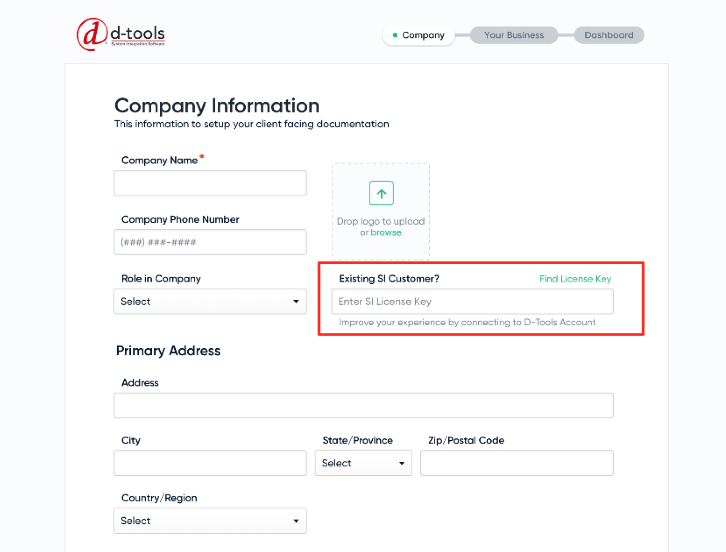 Entering in your SI license key for your SA account will give you access to D-Tools Cloud for free until March 2020. Note: You will get the number of free seats you have signed up for with the SA plan. 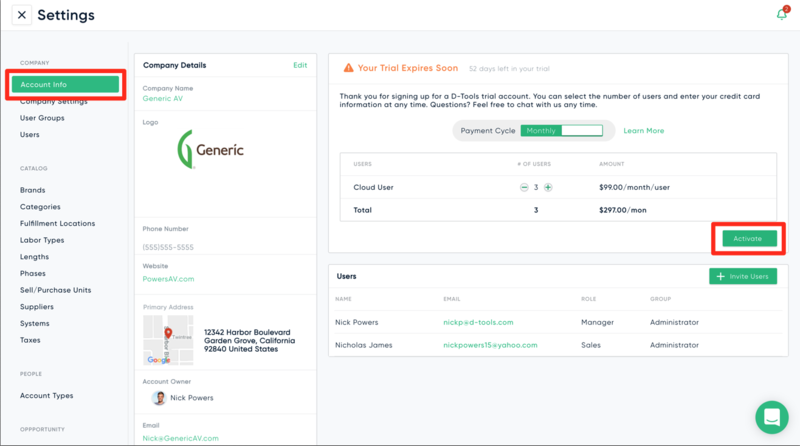 Any additional users will have to be purchased at the DTCloud pricing tiers. When creating your account, enter in your SI license key. DTCloud will do a look up and see if you are eligible for the extended trial. If you missed it in the account setup or choose to do it later, you can enter in your SI License key by going to the settings in the user profile (or just click the activate button in the blue trial banner). In the Account Settings, click the Activate button. 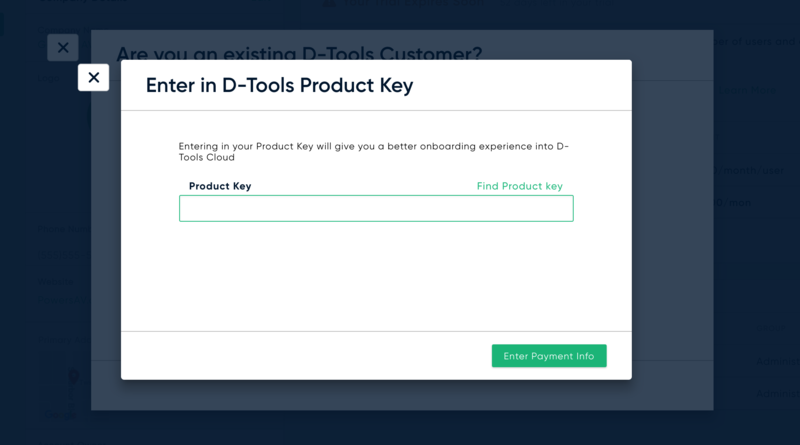 From here you will be asked if you are an existing D-Tools customer. Finally, enter in your SI license key and click Enter. This will do a lookup to see if you are eligible for the extend trial. If you are approved, you will receive your extended trial into March 2020.